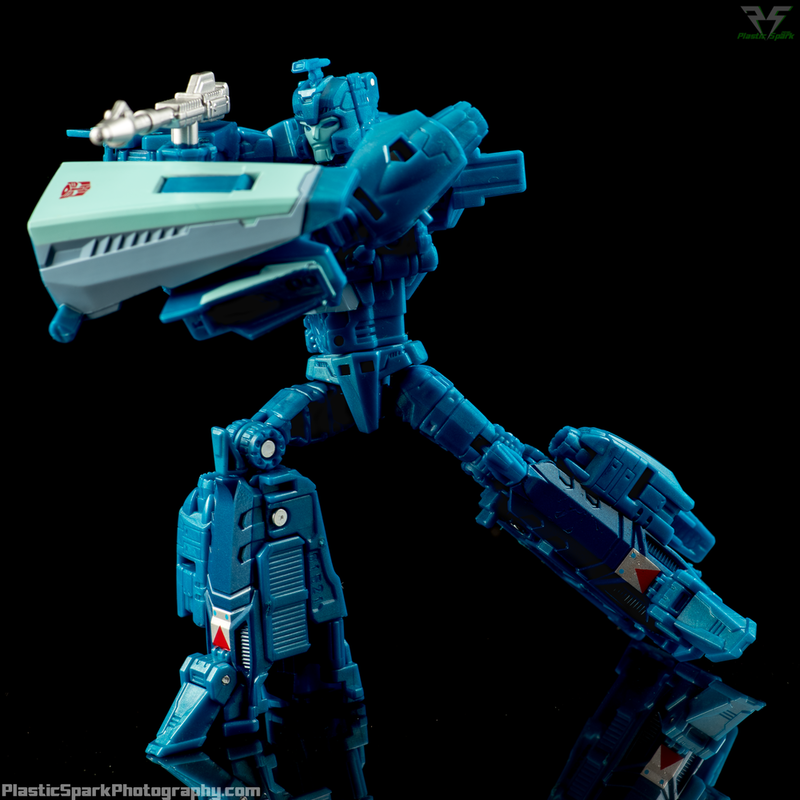 Today, let's get a good look at Deluxe Blurr, a retool (or pretool?) of Titans Return Deluxe Brainstorm. 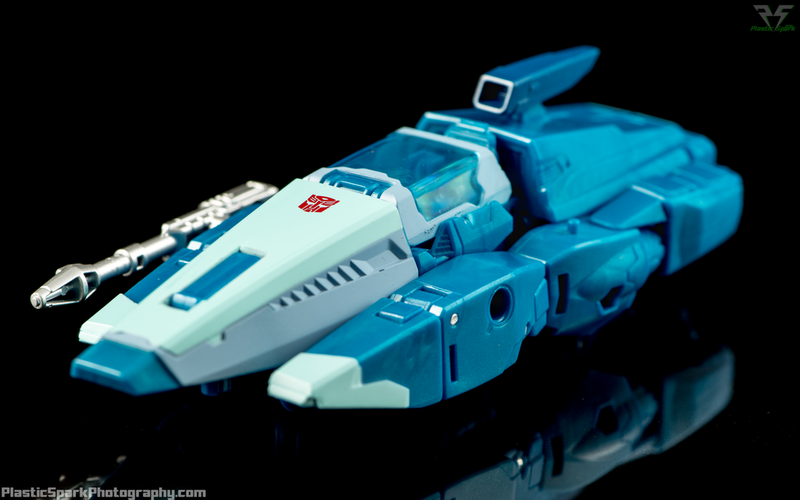 If there's one mould that I don't mind being shared it's this one and it turned out just as solid for Blurr. 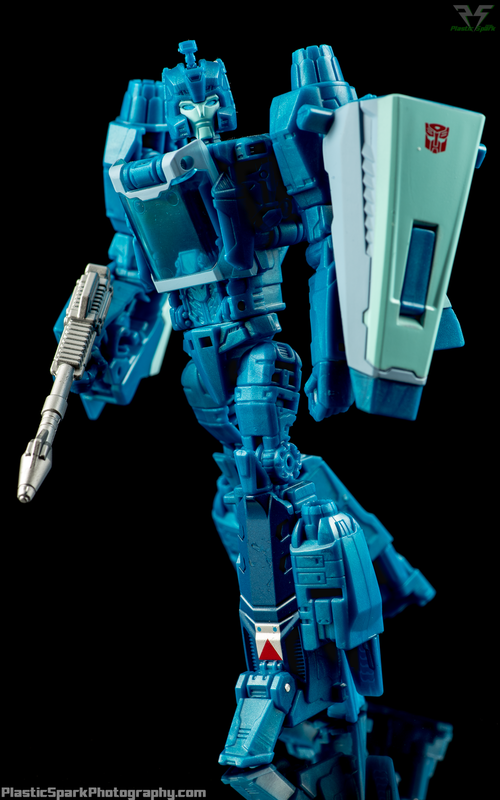 Blurr's alt mode looks straight out of the 1986 Transformers movie. It's a lovely call back considering how few "Cybertronian" alt modes we usually see in the main collectors line. He looks sleek and aerodynamic and the paint work and colour layout are phenomenal. My copy has a few blemishes in both vehicle and robot mode but nothing that really breaks the figure for me. Much like Brainstorm I wish the cockpit actually closed without a gap in the back. It's very off putting from the right angles. 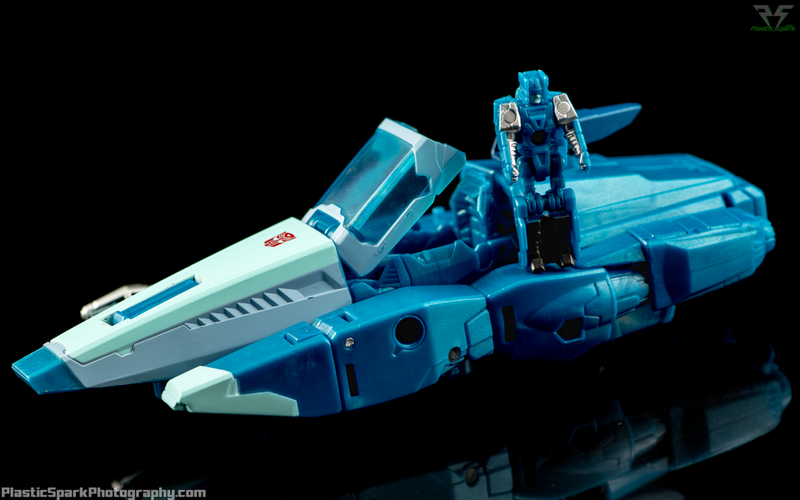 The vehicle isn't as fun as Brainstorm though since he has no wings and can't really do much other than sit flat on the table. His blaster can be mounted to the side of his front fender, aerodynamics be damned! Robot mode has all the right pieces, with articulation identical to Brainstorm and some really nice tight joints. 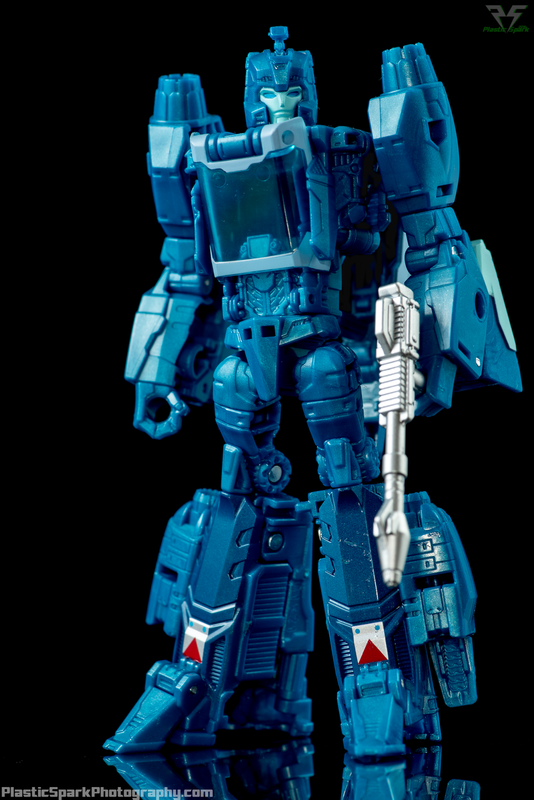 Unfortunately the blue on blue on blue paint job that Hasbro opted for is hardly ideal. It's hard to tell where parts end and begin and sometimes staring at him he just looks like a mess. He can pull off some incredible poses and his Titan Master fits securely and doesn't have any of the loose wiggly syndrome that some of the other Deluxe figures seem to have. 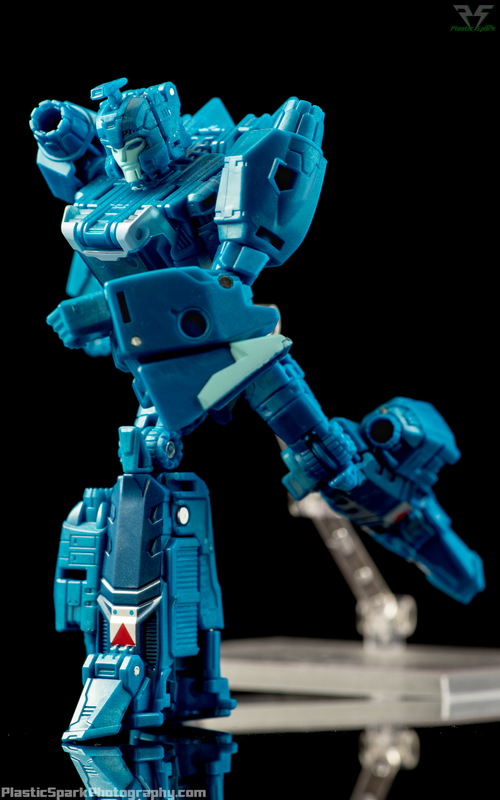 Blurr is a fantastic figure but if you can afford to spend the extra, I would highly recommend going with the Takara version unless you are up to the task of repainting this guy yourself. Definitely a worthwhile pick up but get him on sale if you can and definitely try and get the Takara version if it's a choice between the two.